Hartland's gym features full court basketball, volleyball, ping pong, foosball, and a climbing wall with four levels of difficulty. 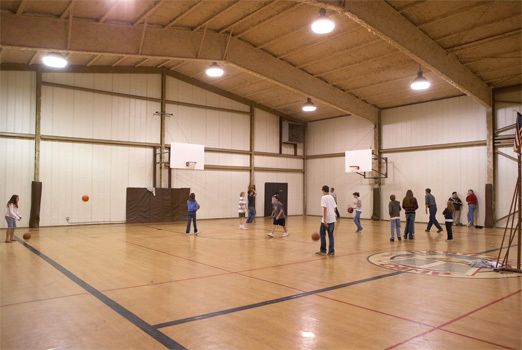 Rental groups may choose to have exclusive use of the gym during specified times in order to run group activities. During all other times the gym is available for use by all groups and individuals using Hartland's facilities.